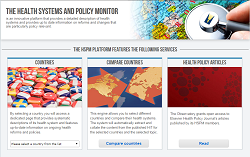 The European Observatory on Health Systems and Policies has been supporting and promoting evidence-based health policy-making for 20 years. To mark this anniversary year, the Observatory is planning a series of exciting activities with its partners and networks. 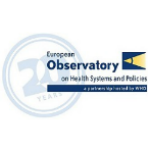 2018 Eurohealth 24(2) - This special issue of Eurohealth marks the 20th anniversary of the European Observatory on Health Systems and Policies. Open access to a selection of articles that are particularly relevant for health policy makers.